Visit us at booth #3130 at the Architecture Expo, June 21–22. The Architecture Expo at A'18 isn't just an expo hall—it's a 200,000 sq. 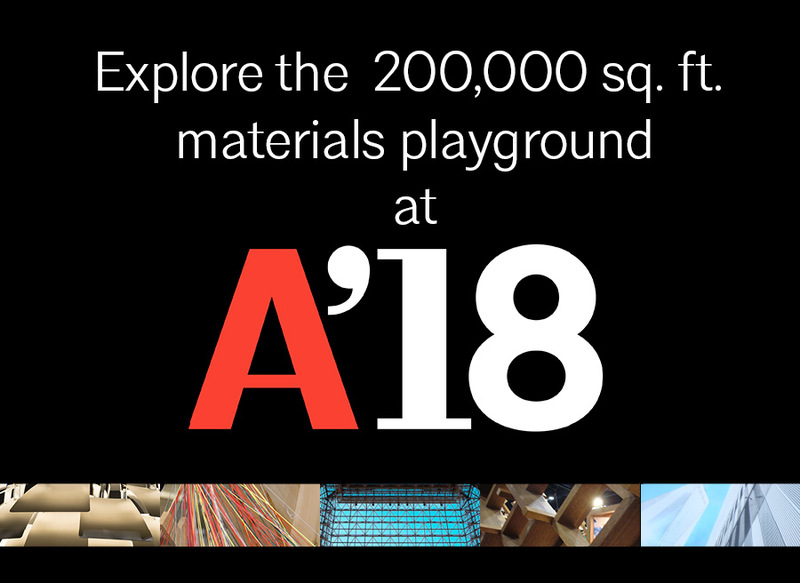 ft. materials playground! Explore the latest products and technologies and visit our booth where we'll have our top teams on hand to provide you with the solutions you need for your business. To receive your complimentary Expo Pass admission, click on the button below and choose the Expo Pass package during the registration process.